Deputy Minister for Temporary Occupied Territories and Internally Displaced Persons of Ukraine George Tuka believes that the new Crimean resolution should focus attention on Russia's violations of Ukraine's rights as a state, which in turn provokes violation of human rights. George Tuka expressed corresponding opinion to the QHA agency, commenting on the beginning of work on drafting a new resolution on the Crimea, which is to be submitted at the end of the year to the vote of the UN General Assembly. In particular, Tuka believes that the text of the Resolution should mention the Kerch bridge, as the fact of its construction, contrary to the will of Ukraine, is a violation of the norms of international law. Moreover, commissioning this bridge and the restriction of commercial navigation in the Kerch Strait and the Sea of Azov directly violate the economic sovereignty of Ukraine. It should be noted that during the voting for the Crimean resolutions at the UN General Assembly, the number of countries that abstain is hardly decreasing, and the number of those voting "against" has even slightly increased. Answering the question of how to improve the number of supporters of the Ukrainian position, or at least to prevent the increase in the number of opponents, George Tuka noted that Ukraine needs to step up activities on the diplomatic front. QHA reported that on August 9, President of Ukraine Petro Poroshenko instructed the diplomats to draft a new resolution on the Crimea for the next session of the UN General Assembly. Reference. The first resolution on Crimea confirmed the territorial integrity of Ukraine. It was adopted by the UN General Assembly on March 27, 2014, immediately after the "referendum", organized by Moscow and controlled by the military personnel without any identification marks. On December 19, 2016, the second "Crimean" resolution on the situation with human rights in the occupied peninsula was adopted by the UN General Assembly, in which Russia was designated as the "state occupying" Crimea and Sevastopol, the document also condemned the illegal annexation of the Ukrainian peninsula. Moreover, the resolution has demanded that the Russian Federation stop all violence against the Crimean people, including illegal detentions of the activists and inhuman treatment against them, as well as to repeal all discriminatory laws; to release all illegally detained Ukrainian citizens. The third updated Crimean Resolution, which the UN GA approved on December 19, 2017, contained even more stringent language regarding Russia as an occupying country. 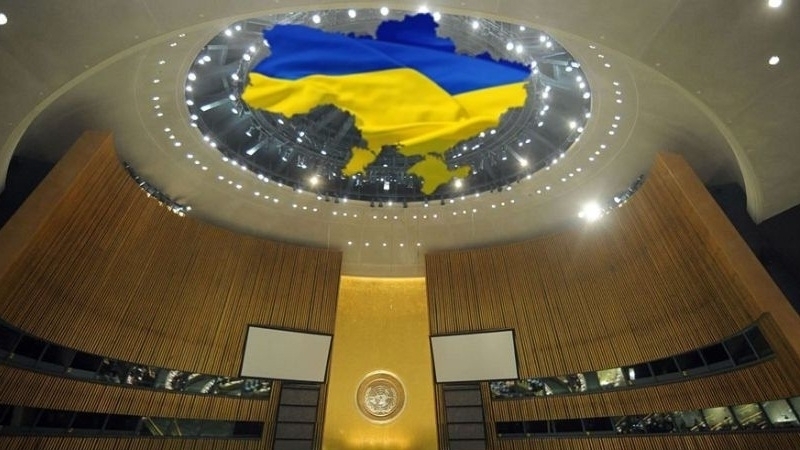 In particular, the UN condemned the application of Russian laws on the territory of the occupied peninsula and noted the need to comply with Ukrainian legislation. In the meantime, Russia continues to ignore the demands of the resolutions of the UN General Assembly on the observance of human rights in the Crimea. Moreover, with every year of the occupation, repression against Ukrainian citizens is further intensified. It should also be noted that the number of countries that vote for the resolution is almost stable (70 countries in 2017, voted for, 73 countries in 2016), 26 and 23 countries voted against. At the same time, a significant number of countries took the position "abstained" (77 and 76).